Type in your postal code to find an Implant Surgeon near you. Our Dental Implant Surgeons are trained to the highest standards, having attended world renowned dental implant courses. Their ultimate aim is to provide you with excellent care, outstanding results and a smile to be proud of, everyday. Dental Implants are an aesthetic, long-term solution to missing teeth, helping you to eat, speak and smile with confidence. 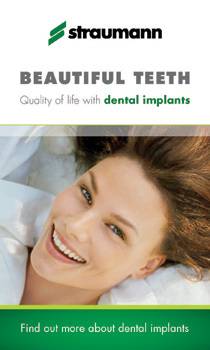 As implants last a long time they quickly become a cost effective method for many of the best dental solutions. Our Dental Implant Surgeons are here to provide comprehensive advice, from the treatment options available to post-operative care and beyond. If you have a question or need to discus any dental implant issue then simply ask an expert.